During this time the consolidating influence of Islāmic religion saw Arab Muslims begin to build an empire that was to stretch across the Middle East and across North Africa into Spain. At the heart of the Islāmic world the caliphs ruled in Baghdad. 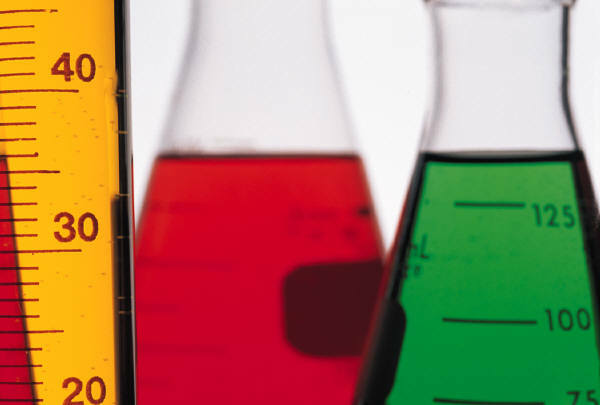 Arab scientists sowed the seeds that would later be reaped in the scientific revolution of the seventeenth century, especially under the Abbasid dynasty during the caliphate of Harun al-Rashid and his son al-Ma’mun, and the Middle East became the intellectual hub of the World. In the ninth century, at the House of Wisdom – a mixture of library, research institute and university – scholars worked to translate the great works of the GREEK thinkers. 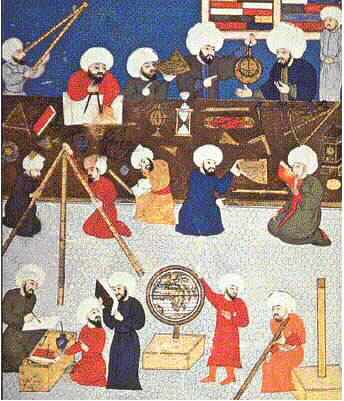 Muslim scholars of this golden age made important and original contributions to mathematics and astronomy, medicine and chemistry. They developed the ASTROLABE, which enabled astronomers to measure the position of the stars with unparalleled accuracy. In medicine they made the first serious studies of drugs and advanced surgery. A number of mathematicians, including Habash al-Hasib (‘he who calculates’), Abul’l-Wafa al-Buzjani, Abu Nasr al-Iraq and Ibn Yunus formulated trigonometry (including all six trig functions [ sin, cosec, cos, sec, tan, and cot ]) at a level far above that introduced by the Greek astronomer-mathematician HIPPARCHUS in the second century BCE. It is worth noting that even to-day at least half the named stars in the sky bear Arabic names (Aldebaran and Algol amongst others) and many terms used in astronomy, such as zenith, nadir and azimuth, are originally Arabic words.